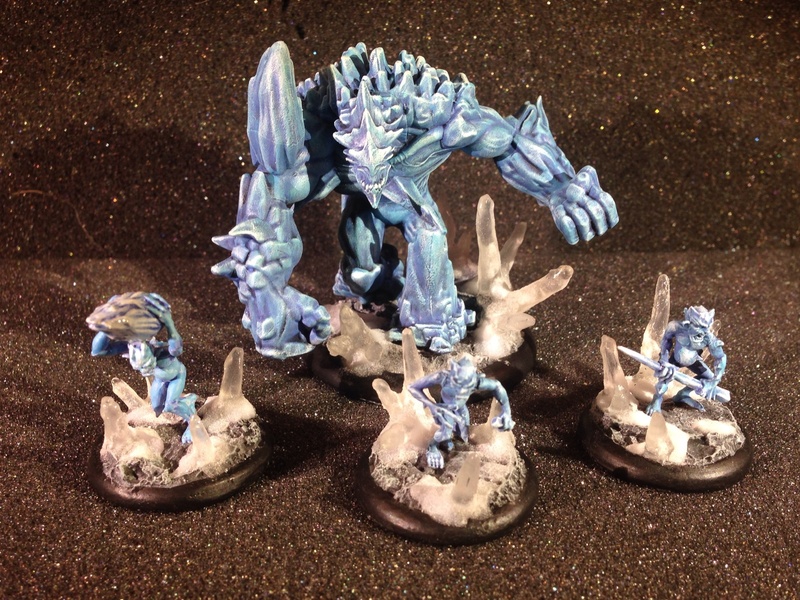 I have finished up painting the Ice Golem and Ice Gamin from my Children of December crew for Malifaux. 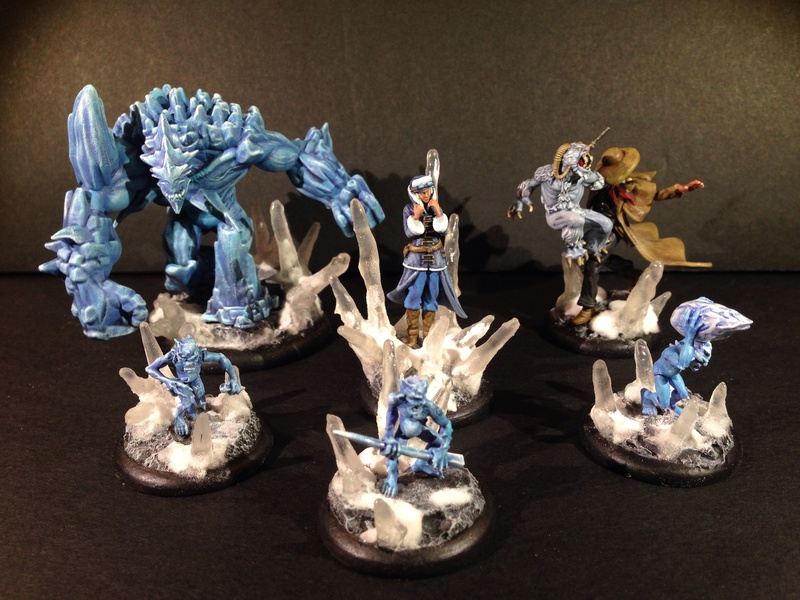 I am really happy with how they turned out and love how they look with the ice basing. 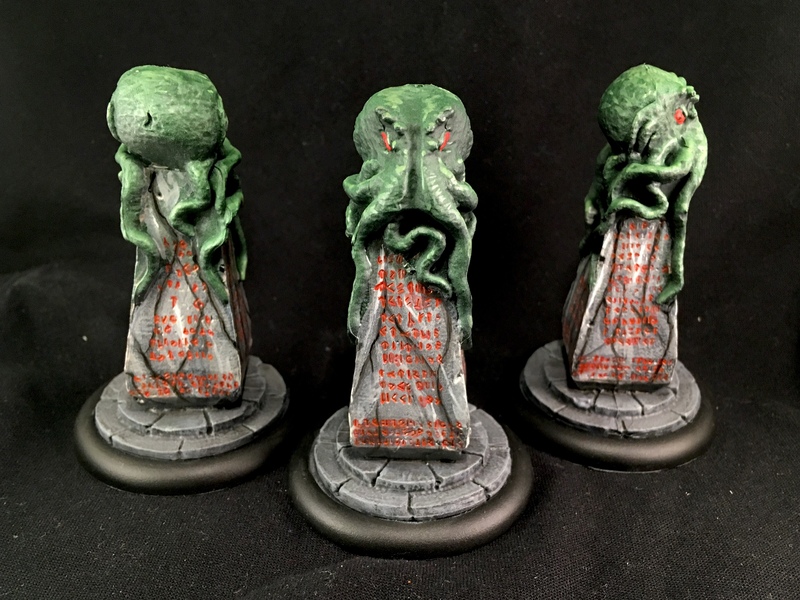 Now I just need to do some detail work on Rasputina and her furry little Wendigo friend and I will have my first Malifaux crew completed! 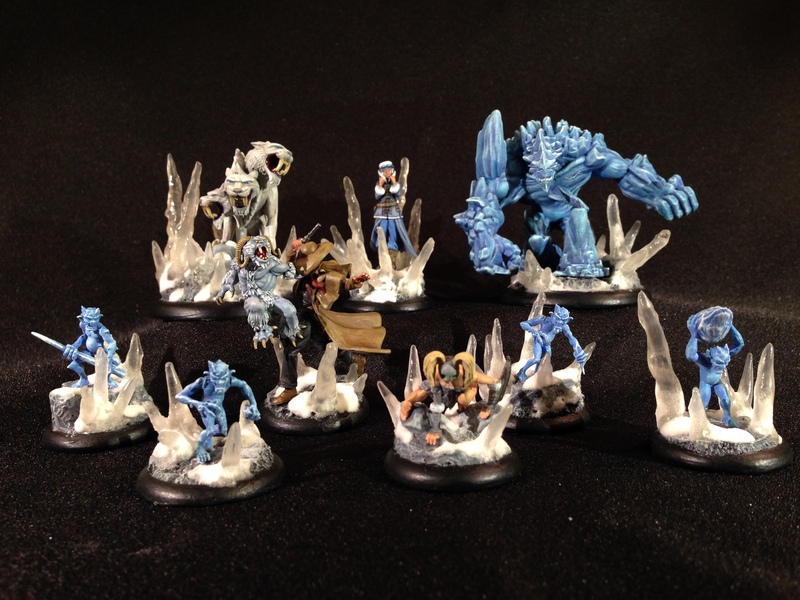 Next up for Malifaux: Marcus and his menagerie; Wyrd finally annouced the new plastic December Acolytes should be coming out soon, so I will probably snag some of those once they come out and add them into Rasputina’s icy crew. 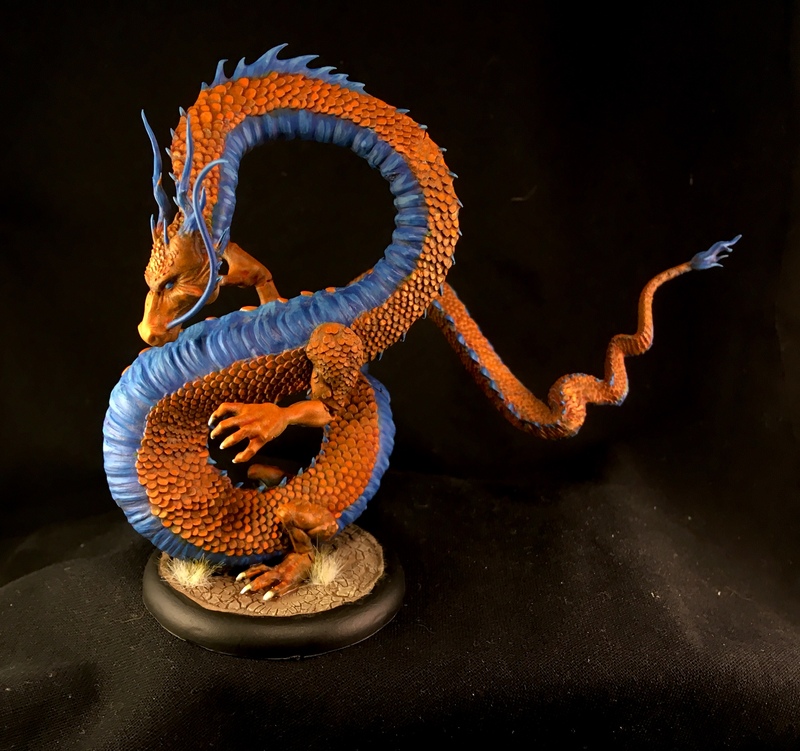 I’ve been crazy busy with the new job the last few weeks and haven’t had the opportunity to do much in the way of painting or modeling lately. 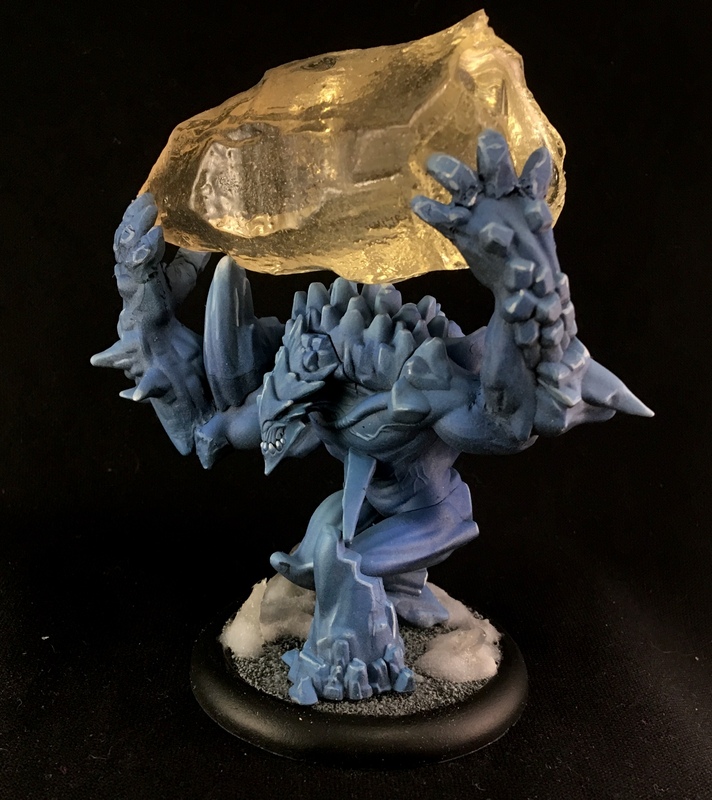 Finally got the chance to paint up the Ice Golem from my Arcanists Children of December crew. 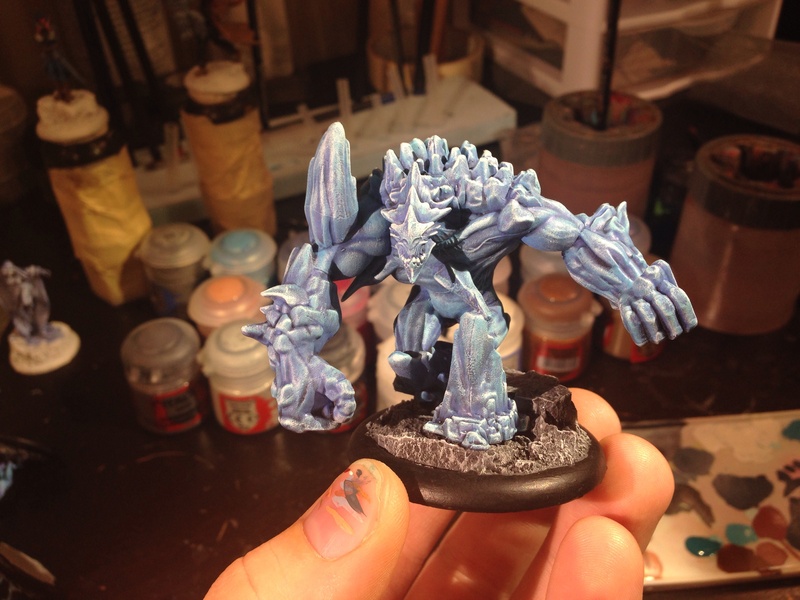 I still need to finish off the basing (adding in some snow and ice) but thought I ought to post something. I’ll be posting a step-by-step of the new technique for ice I plan on trying out if it turns out well.